Log in or Register for options to receive email notices when new products from Party arrive. There are so many kinds of parties; from birthday and bachelorette parties, to cocktail and dinner parties, there is no end. 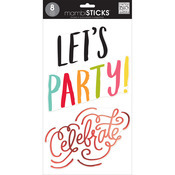 Celebrate with our selection of party stickers and the fun is unlimited! 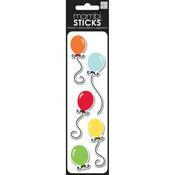 We have party hats, presents, balloons, confetti, sweets, and much more to choose from. Use these stickers to add a little sparkle to any of your scrapbook albums, cards, or crafts.